Jackie: I write books for 4 -12 year olds. For years, I struggled to find books for my students. I taught in four different states and worked with students with disabilities. When the states adopted alternative assessments for these students, I was forced to create reading materials. My students had one request, “Miss, make sure that it is not boring. And make sure they (the characters) look like us.” So I started writing stories and assigning my students’ names to the characters based on their personalities. It was then that I developed a love for writing. Especially since my students would say, “Miss, you should write books.” So now I am on a writing journey. So when I was finished reading the article, I left a comment. A few days later, Leila Monaghan contacted me via Facebook. We chatted about the need to see all children represented in books. I joined Kids of Color Children Books. And since then we have been brainstorming different ways to get the word out about our mission. And that is to promote books written by people of color. To advocate for more books with children of color. And equal marketing strategies for authors of color. Leila: Just like Jackie, I was very excited to see Walter Dean Myers and Christopher Meyers talking about the lack of books for children of color. I used to teach second grade in West Philadelphia and there were no middle grade books I could find that reflected my students’ experiences. I was excited that a lot of them read Harry Potter but really frustrated that there was nothing like the Potter books set in West Philly or a similar urban neighborhood. It led me to write stories set in West Philly under the name of Lee Mullins. As I am a PhD in linguistic anthropology, I left grade school teaching to go back to college teaching but the importance of diverse children’s literature stuck with me. Since then, I have also started a small publishing company, Elm Books. The articles by Myers and Myers and comments like Jackie’s inspired me start a children’s division and to reach out to others who also cared deeply about diverse children’s books. I feel it is a civil rights issue. Children need books with which to identify so they may develop a love of reading, which will eventually lead to strong literacy skills. Without solid skills in reading and writing, so much of the world is closed off to young people, particularly in today’s high tech age. But the social media of today also allows people who share a vision to get together in ways that just weren’t possible before. Jackie: At this time, we are still brainstorming networking strategies. However, we cannot deny that we are blessed to be in an era where social media speaks volumes. Facebook, Tumbler, Twitter, and blogs have the potential to reach thousands even millions. Within the next few months, we will be using these medium to get our message out. One campaign we will be promoting is “Read Same Read Different” (#ReadSameReadDifferent). The idea is to get all children to read books that reflect their experiences (Read Same) and those quite different from their experiences (Read Different). Michelle Obama recently spoke about the resegregation of America and we all need to reach across lines including the lines of the publishing industry. For example, even if libraries have diverse books on their shelves, people are not necessarily taking them out so they get taken off shelves. 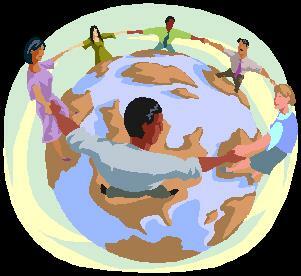 Our goal is to reach out to the publishing industry, libraries, schools, music industry and Hollywood. I know it seem like a stretch, but we can do it. It is about reaching the right people at the right time and making sure diverse books get a fair chance at being read. Leila: For me, this is a time for experimenting in networking, for trying to build bridges that support diverse children’s books. We are still trying to understand how it works ourselves. Some of the ways that we have been working on this have been launching the #ReadSameReadDifferent campaign, building the Kids of Color Children’s Books group on Facebook, and promoting specific diverse children’s books such as Crystal Allen’s lovely The Laura Line. We now have almost 400 members in the KoCCB group and 400 likes for the Facebook page we set up for The Laura Line. This is just a small first step but at least it is a step in the right direction. 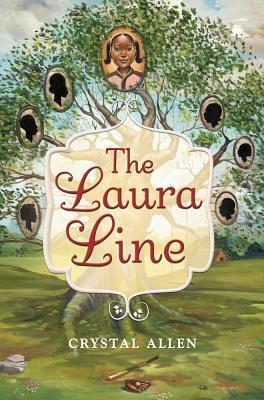 –Support the diverse books you love like The Laura Line on social media including Facebook, Goodreads and Twitter. –Go to Facebook, like the author’s page, and encourage friends and families to do the same. –Write reviews and give stars to books on Goodreads, Amazon, Barnes and Nobles and other sites. –Tweet about what you are reading. Take a picture of it and tweet why you like it. –Blog about diverse books and review the books you read. –Start a book club and emphasize diverse books. –Make connections in the media or at conferences and workshops with other people who care about diversity. Jackie, love this. I’ve been working on a novel for a few years now with a diverse cast, not because I chose it to be but because the story begged for that mix. It’s been interesting righting from the POV of another character with a totally different background, you start to realize as you’re putting the emotions in there, that the differences are superficial. We all have life experiences that work across the board. I’m so incredibly grateful to Jackie and Leila for their efforts. Read Same/Read Different is a wonderful campaign and I plan to promote it to librarians during my author visits. I also believe more diverse books need to be required reading over the summer, or during class time. We’re making progress, as long as we don’t settle.